Over the last few years, fermented foods were all the rage and are still growing. 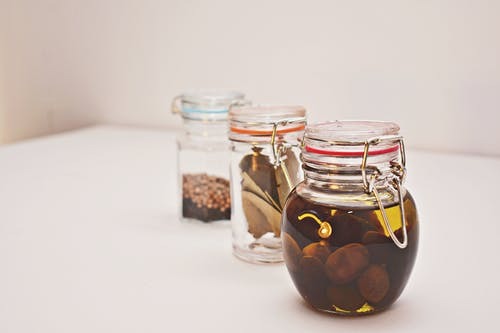 From the pickled sour tastes that people seek to the gut-health benefits, people want the next big fermented product. So why is it just becoming popular? Fermented foods have actually been around for centuries; each culture has a unique and different technique and food. Not only does it give each item a unique smell, taste, and texture, but it was also used as a technique to preserve fruits, vegetables, and even fish during times of scarcity. Think of canning or sealing off any oxygen and adding ingredients to a jar, let it sit, and months later, a new flavor is born and the food you saved is still edible, but with added benefits. Many Asian countries, especially Japan and Korea, include many types of fermented foods in their diet, which may also explain the low obesity as well as lesser gut or intestinal problems the people experience. Unlike many bacteria, the probiotics created within the fermented foods can survive the human gastrointestinal (GI) tract. This allows the gut to take the goodness in and work with its hidden potential! So if your gut is having problems, or you just want to try to be healthier, add some kimchi to your rice or gochujang paste to your veggies and chicken! For more articles like this check out our Fill Your Plate Blog. Check out our Recipe section for some healthy recipes. Shewell, L. PhD. (2015). Everything you always wanted to know about fermented foods. Science-Based Medicine: Exploring issues & controversies in science & medicine. This entry was posted in Diet Tips, Fill Your Plate, Food, Health Tips, Healthy Eating and tagged Bacteria, Fermented, food, Gut health, Health, Probiotic. Bookmark the permalink.